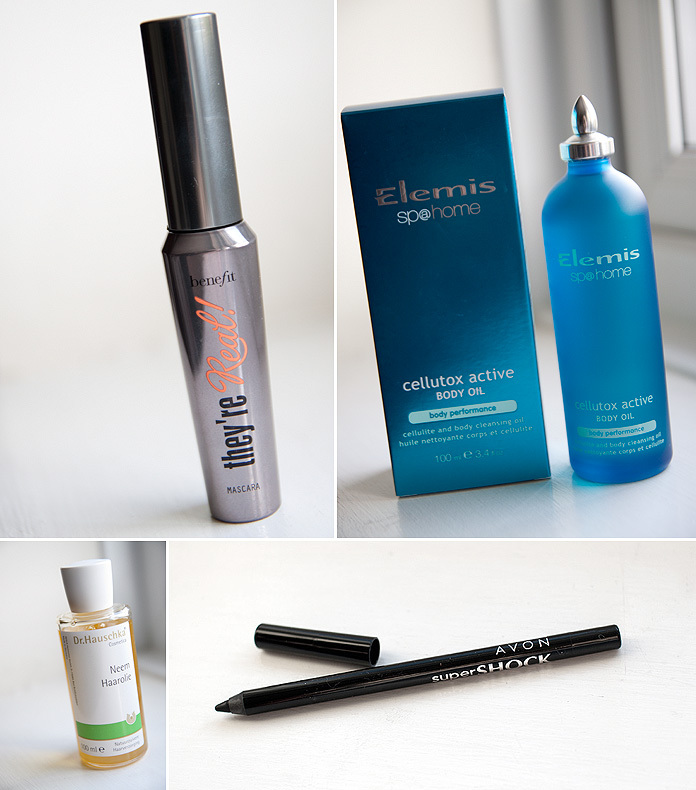 It’s been a while since I tried a new mascara, the truth is that I’ve fallen into an extremely comfortable relationship with Clinique High Lengths mascara (the one with the brush that looks like a praying mantis). Considering I first reviewed that particular mascara over 4-years ago now, it’s pretty good going for it to remain in my top-5 mascara list, no? Anyway, as comfortable as our relationship is… I’m a terrible flirt and the latest mascara from Avon, which promises 24-hour volume with a buildable, clump-free formula, had me batting my eyelashes from 50-paces. 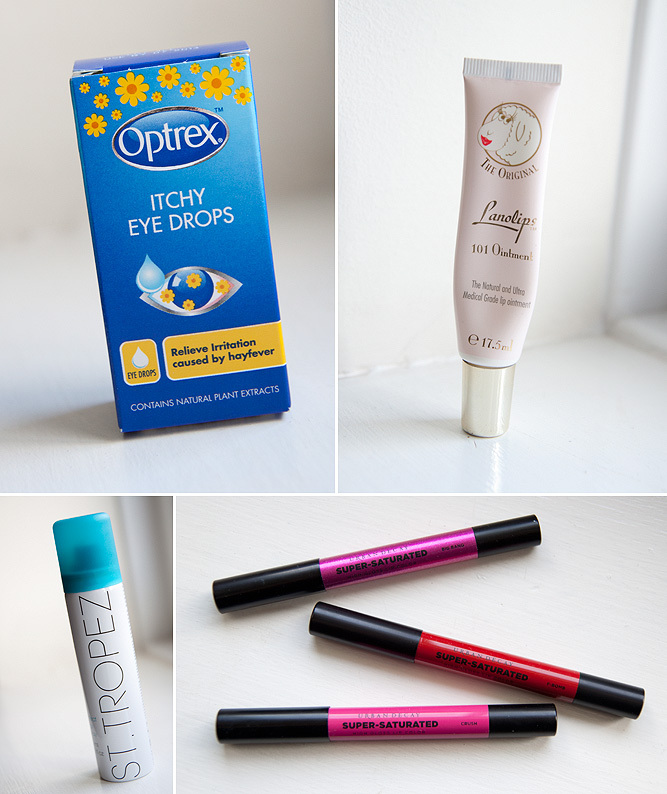 I usually get on well with lengthening mascaras as my lashes are fair, particularly at the tips where they disappear against my skintone. I could apply boot polish and I’d still get an initial wow factor at uncovering those lost tips! Having said that, my lashes, particularly post pregnancy, are a little sparse and volume and thickness is something I crave. 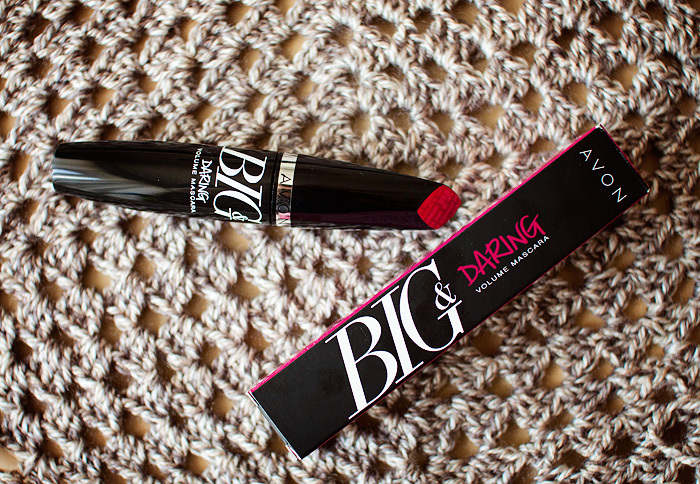 The Avon Big & Daring Volume mascara presents a large, curved brush… densely packed with bristles of varying lengths. The idea behind this brush is the usual “capture as many lashes as possible in one go” remit, and it works well. Obviously, the more lashes you can capture (per sweep), the less you’ll need to layer and the chances of clumping will reduce. I hate clumpy lashes, with a passion. I struggle to leave the house if I’ve had a mascara melt-down and have overdone it. 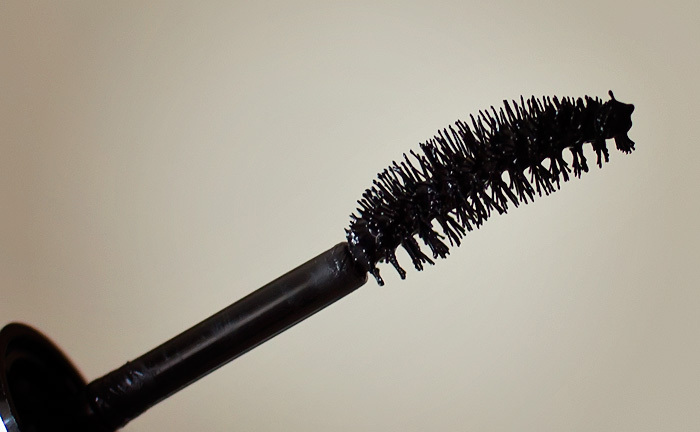 As a result, I generally dislike any “wet” mascaras or ones that apply too much product, too quickly. Instant bin fodder. Although the Avon mascara captures a lot of product on those many, many bristles… the packaging has an effective inner narrowing of the neck that ensures excess product remains inside as you draw the wand out of the tube. 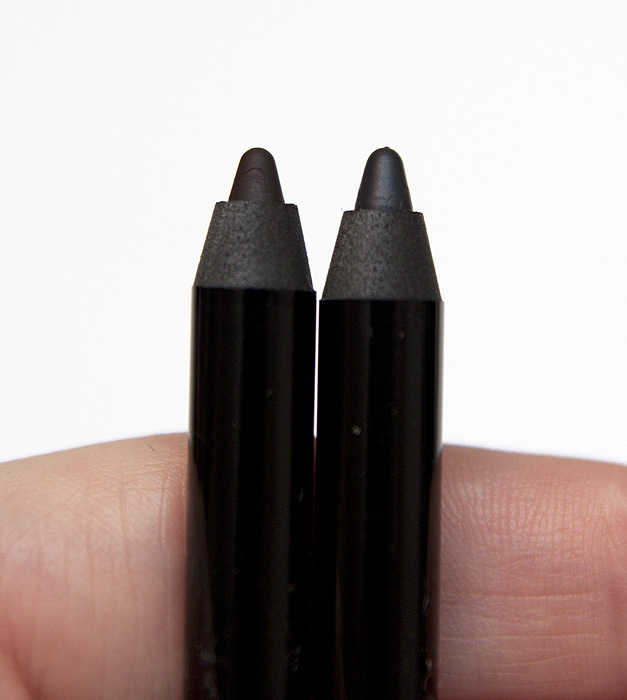 The curve of the brush matches well with my eye-shape and allows me to get down into the root of the lashes without too much effort or wrangling. The overall result is great for an “every day” look, the before/after picture shows how my lashes look with two coats of the Avon Big & Daring Volume mascara applied. I could have gone for one more coat without clumping but in all honesty, I don’t have the luxury of time to keep building my mascara in the mornings. It’s probably not quite dramatic enough for a night out but it’s perfect for the daytime, especially as I want something a little more impactful than “natural” without going overboard. It strikes the balance just right for my tastes. I don’t experience any flaking or smuding with this formula, infact… if anything, it’s a little too resilient as it does take some effort to remove it in the evening. All in all, for a sub-£10 mascara, I’m really pleased with how it works. It’s an effective choice for those on a budget and offers a generous 10ml of product for your pennies. 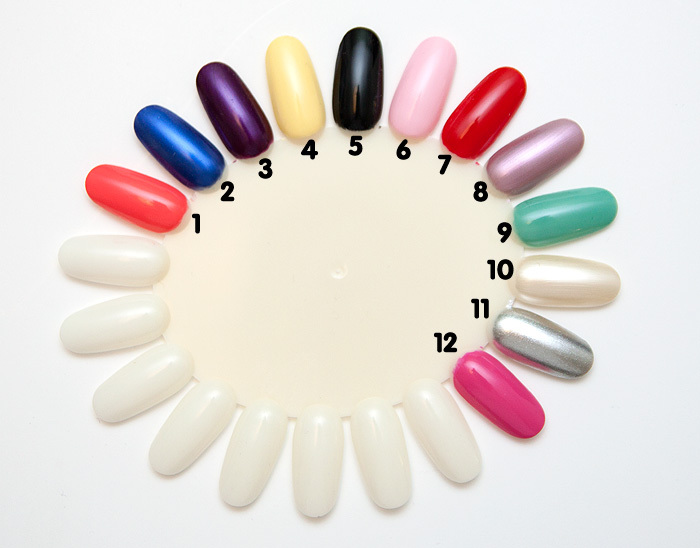 First Look: Avon’s NEW Gel Finish Nailwear, not impressed! Well, colour me confused. The Avon Gel Finish Nailwear range has been getting rave reviews across the pond since its introduction over there a couple of months ago. Not only for its far-reaching shade range that spans a variety of different finishes aswell as colours, but for its impressive wear time. The coming-soon-to-the-UK range of 24-shades promises a gel like shine and intense colour, delivered in just one coat… a salon finish at home, and no need for a top-coat. That’s a lot of promises for a small bottle of polish… I was sent a small selection from the new range to see if it lived up to my expectation… and I’m sorry to say, that so far, it’s fallen short. The shade range however, is indeed impressive… but then again, so is Avon’s current Nailwear Pro+ enamel, of which I count myself a fan. So for me, this range really has to deliver on and above an already fairly high benchmark. 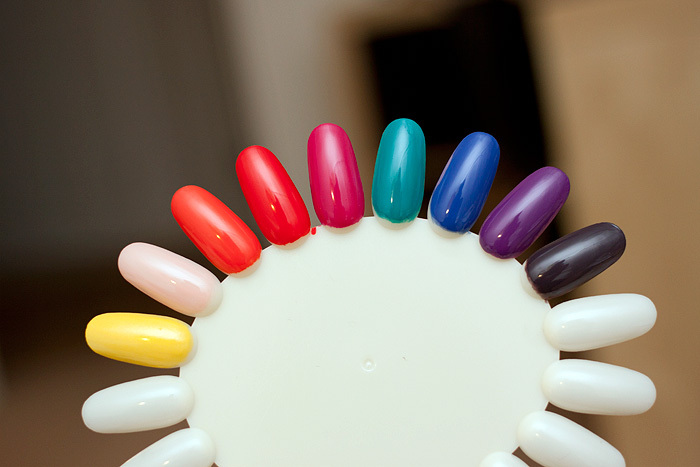 Every single shade that I was sent needed more than a single coat to achieve opacity. 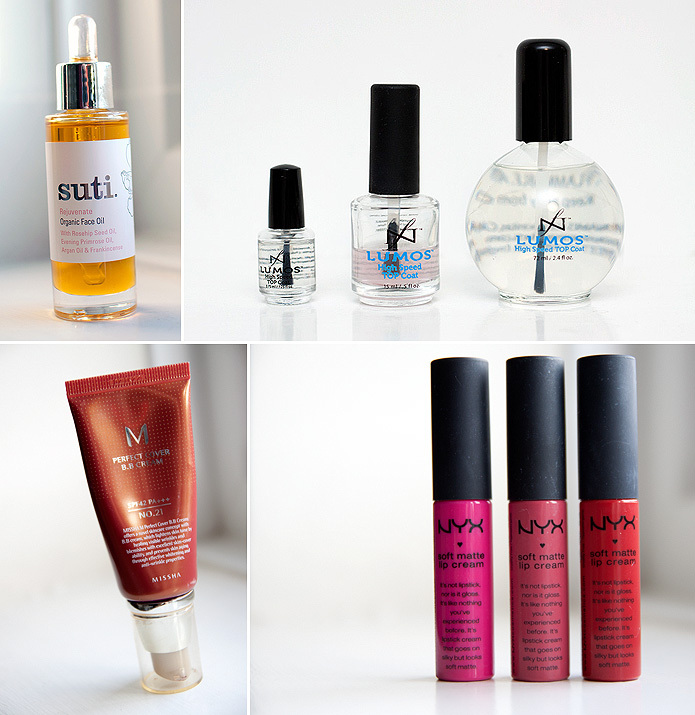 Infact, they all needed a total of three coats for full-on no translucent patches coverage. Which flagrantly laughs in the face of their one-coat claims, no? Bad enough you say… but listen, because the formula is thicker than most… not in an unworkable way, quite the opposite actually as it flows nicely onto the nail. So what’s the problem? Well, the problem is, that this ain’t no speed-dry polish and when you’re testing claims that a nail polish needs no top-coat, you’re in for a damn long wait until you can pull your knickers up when you’re piling three coats of thickly-formulated polish onto your fingertips. I painted my nails at around 9pm. At 11.30pm, I took myself off to bed… my nails felt completely dry to the touch but they weren’t. Ok, so I didn’t wake up with duvet marks but they had lost A LOT of the shine, as if the surface had been lightly buffed by premature contact with bedsheets etc. I just don’t have 3hrs to hang around waiting for my nails to completely dry. You can probably see that there is barely any shine on my nails in the photo below. In addition to this, look at the tip wear I’m starting to get (without a top-coat, remember how it says it doesn’t need one?) after a period of no more than 17-hours! Now, all of the issues I’ve encountered can (probably) be solved with the addition of a quick-dry top coat. But then, I just don’t see why I’d need this range when there’s a brilliant Nailwear Pro+ range already fortified with acrylic gel for strength, which doesn’t make any claims that it doesn’t (for me at least) live up to. I’m going to work my way through the rest of the shades with a proper wear-test and if I’m forced to eat my words, I promise I’ll be back to provide a further update! 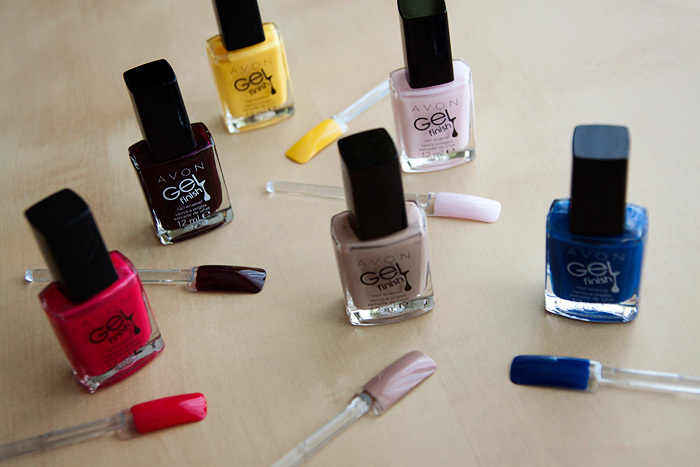 Avon Gel Finish Nail Enamels are due to launch in April, priced at £7 for 12ml. Avon’s popular Speed Dry+ range has recently undergone a revamp with a new formula and colour update. 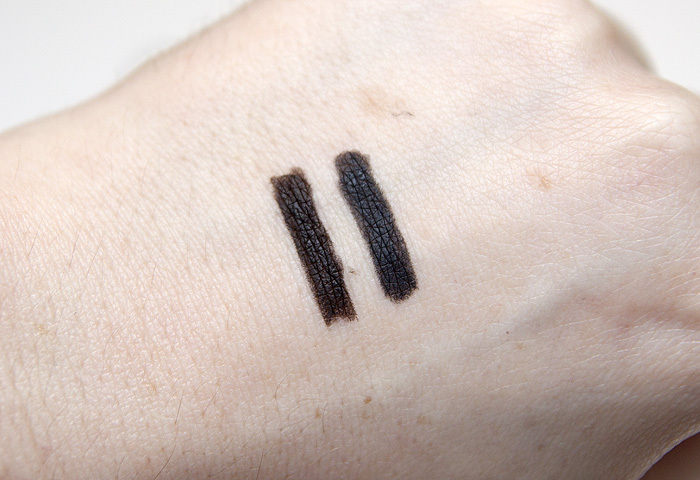 I received a selection of shades* from the 25-strong lineup for review and I was curious to put their 30-second drying time to the test! Suddenly Sunny: A vibrant, sparkle-infused yellow that suffers from a draggy application but looks stunning once on the nails. Ballerina: A sheer babydoll pink that would work well for French manicures, unremarkable. Orange You Quick: An eye-searingly bright orange that gives full opacity in one coat. A stonking Summer shade for sun-kissed tootsies! Reddy To Go: A warm, vibrant red… bordering on the neon. Another one-coater, Avon are knocking it out of the ballpark with the brights. Strawberry: A berry pink, and at the risk of repeating myself, another one-coater. Applies beautifully. Fast Time Teal: A lovely shade but requires three coats to achieve opacity. On Point Blue: A pretty blue which manages to keep a hint of dustiness despite the bold hue. Sadly, it’s also a three-coater. Pronto Purple: A true royal purple, another three-coater… looks sumptuous on the nails. Smokey Plumes: Is it purple, is it brown? Brurple. An unusual shade with a rich, creme finish. Another three-coater. Out of the nine polishes I’ve been trying, almost half of them had brushes that suffered from stray long hairs and a couple deposited foreign particles (dust/brush fibres) upon first application, the usual irritations that you can often expect from cheaper polishes. That being said, these Avon Speed Dry+ polishes are currently priced at only £2.50-a-piece (usual price £6) and still represent amazing value for money. At the current price, you should consider stashing: Orange You Quick, Reddy To Go, Strawberry, and Smokey Plumes. And what about that 30-second drying claim? Well… nearly, but not quite – they are faster than usual though. 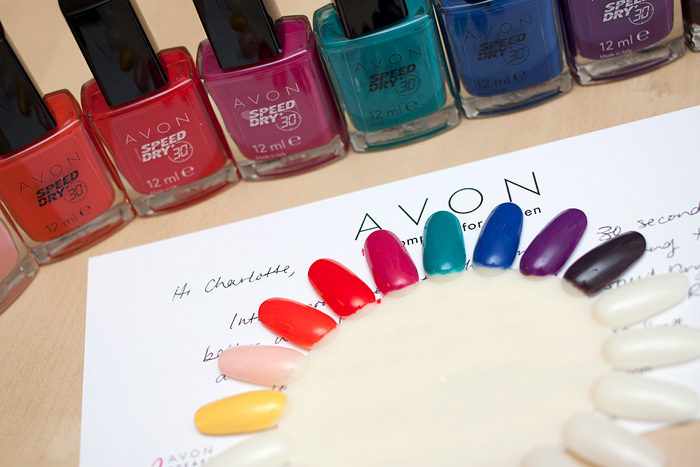 Avon Speed Dry+ polishes are available to buy online at www.avonshop.co.uk, priced at £2.50 each for a limited time. I’m not the world’s most patriotic type, I’m more into grumbling about our nation than celebrating it, which I realise makes me sound like a bit of a miserable git but it’s not like that – well, not entirely anyway. However, you can’t help but have been a little soul-stirred into some imaginary flag-waving this Summer with the close of our rather successful ‘limpics. And judging by Alesha Dixon’s brit-inspired limited edition nail shades for Avon, she felt the same way. Everything British is a hot topic for me right now, what with the Jubilee, the Olympics and of course my first year on Britain’s Got Talent! I’ve always been proud to be British, so when hand picking my own fabulous limited edition Nailwear Pro+ colours there was no contest to these gorgeous red and blue shades. Here they are swatched, with a sprinkling of totally-in-context gold (29 medals baby!) just for good measure. 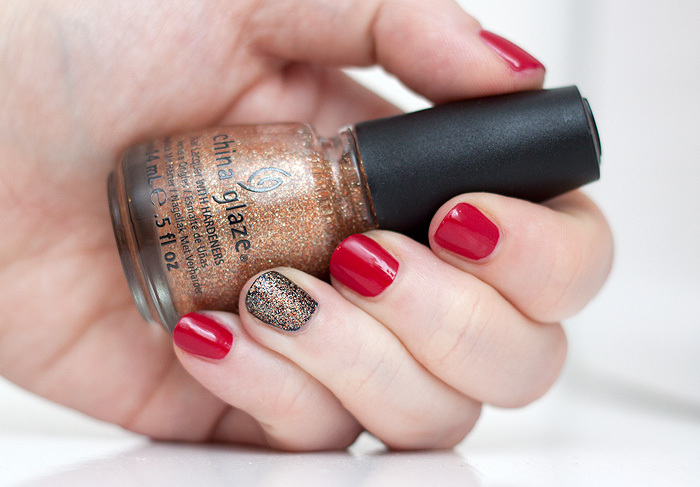 The gold glitter, incase you’re wondering, is the lovely I Herd That* from China Glaze On Safari (Autumn 2012) collection. 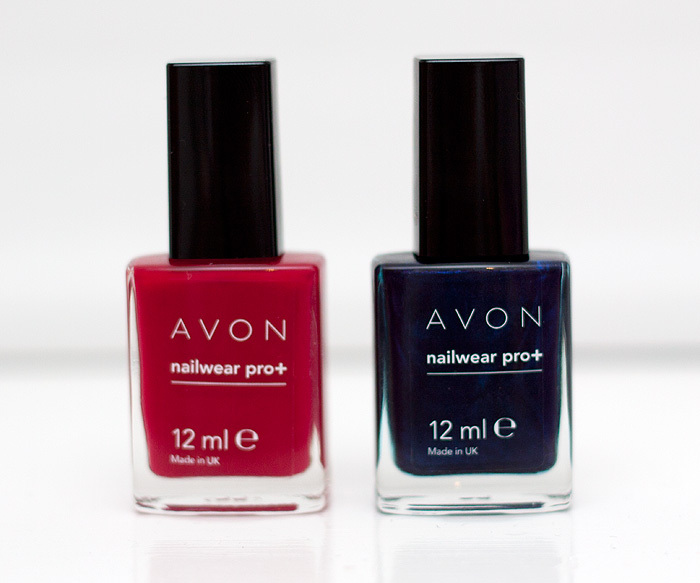 Avon Nailwear Pro+ Alesha’s Limited Edition shades of Inky Blue* and Red Reveal* are available to buy online at Avonshop or from your local representative, currently priced at £3.50 each. Did your nails get all patriotic this Summer? I had a little shop-my-stash session and pulled out some things that haven’t seen as much love recently as they should, namely my Face Atelier foundation which is a touch too silicone-heavy for my skin when it’s at its driest in the Winter. My skin is back in a good place at the moment and I couldn’t wait to see if I still loved it as much as I did last Summer when I bought it. The answer is a resounding YES! 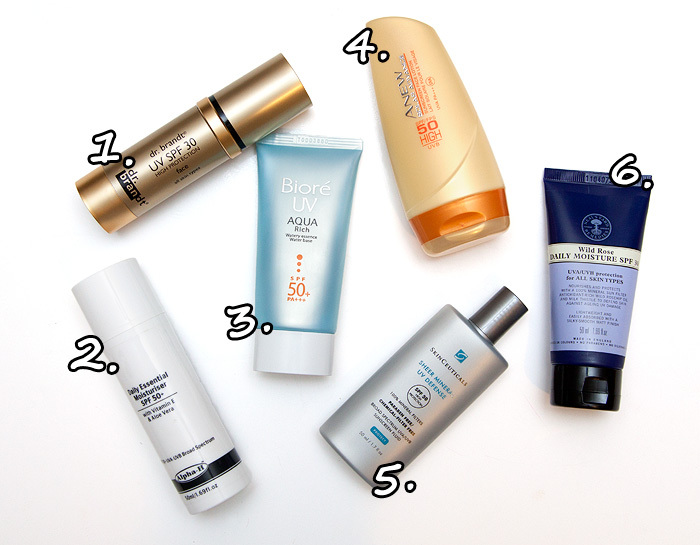 I’ll do a proper review with before/after shots later in the week, kick me if I don’t ‘cos it makes a great spring/summer foundation for those who aren’t ready to give up ‘propah’ coverage just yet. 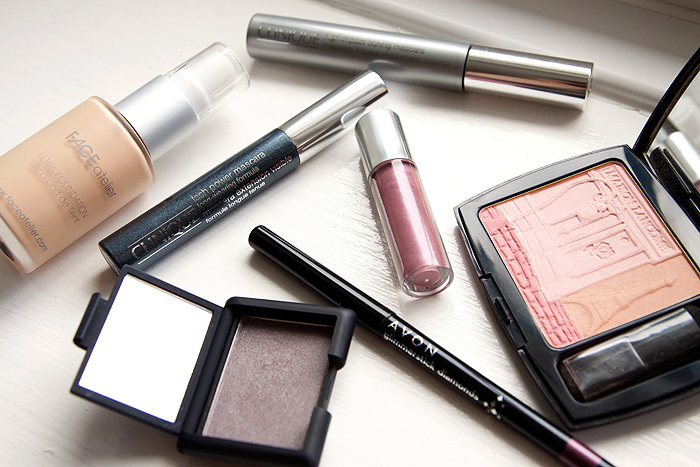 My NARS Lhasa got some extra love with a sparkly pairing courtesy of Avon’s Glimmerstick Diamonds Eye Liner in Sugar Plum – it’s a nice way to supercharge a much-loved taupe with a bit of additional colour. My beautiful Maison Lancome blush* is still pleasing me muchly, especially if I give the brush a good swirl in the darker shades first before building up a little more luminosity courtesy of the pale pink. 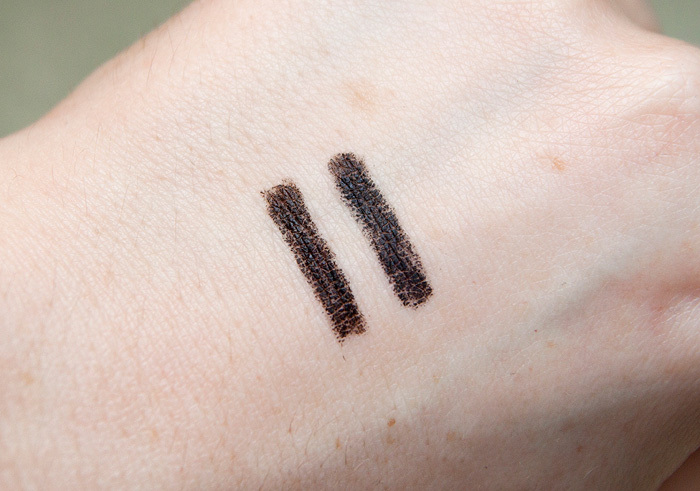 Ahh, a Fyrinnae Lip Lustre in Ryo Pinko! I wasn’t sure if this would still be usable… it’s been a while! However, it smells and tastes perfectly fine, it’s not quite ready for the cosmetics graveyard just yet! I love the colour and the metallic finish is a little bit retro (in a good way!). 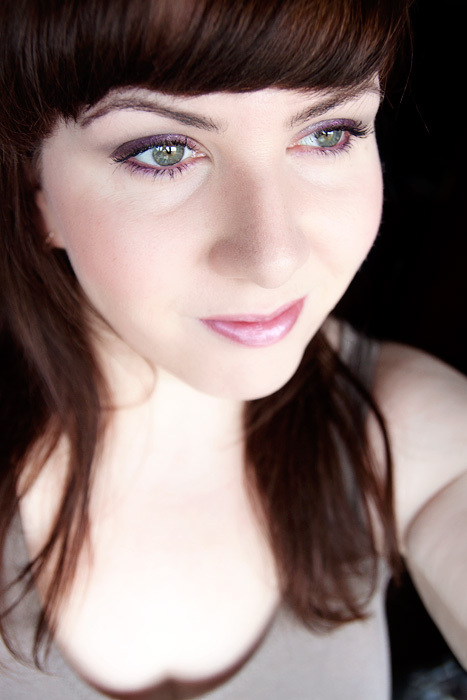 It inspired me to give today’s FOTD a silly little name though, so it’s all good. Finally, I layered up two mascaras that I’ve recently been sent and got some epic lashes as a result, I’ll blog them as part of my mascara series shortly. 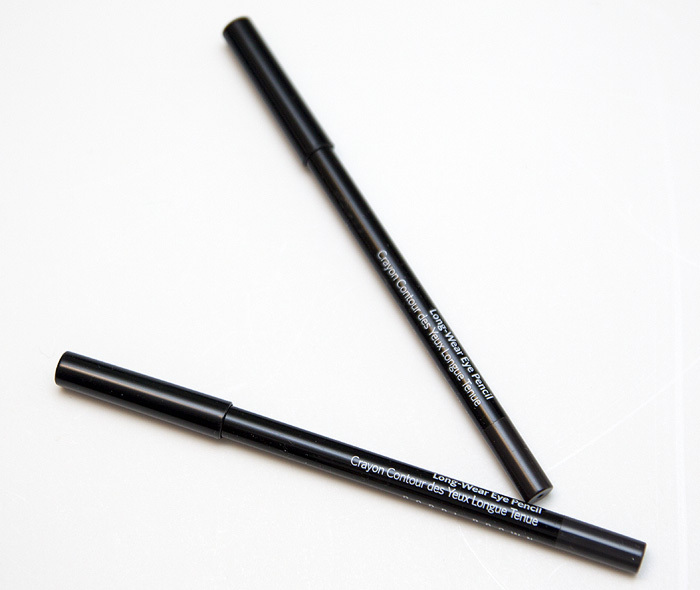 The Clinique Lash Power Mascara* has a small brush that works well at getting product right into the roots of the lashes before a coat of Clinique High Impact Curling Mascara* ontop sends them skyward. What’s on your fizzog today and when was the last time you shopped your stash for some forgotten treasures?